the devopment of CHC's web applications for archaeology initially was based on the databases available via the UBI ERAT LUPA internet platform. since the establishment of CHC in 2005 the development of archaeological information systems with low entry level is ermerging as an additional field of interest of the working group. 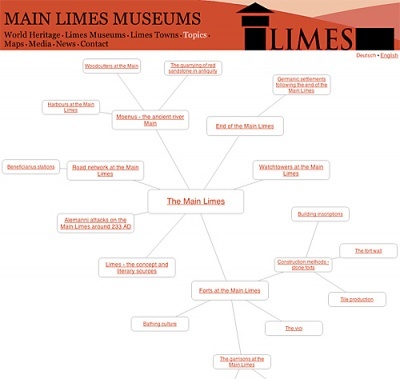 Our latest and most advanced system in this field is the informationsystem on the MAIN LIMES MUSEUMS. current research is focused on the development of XPS (expert systems) in order to support specialists in the process of evaluation and interpretation with specially designed tools for visualization and analysis of large amounts of data. A good example might here be the system for provenancing ceramics from the Central Meditarranean FACEM. Diese Seite wurde zuletzt am 6. November 2014 um 11:18 Uhr geändert.